These cruise line sightseers moved into the bears' turf. And when one bear attacked an armed guard, another guard shot the bear dead. Gustav Busch Arntsen/Governor of Svalbard/NTB Scanpix via APPolar bear after being shot by guard on Norway’s Svalbard archipelago on July 28, 2018. What was supposed to be a fun sightseeing trip turned deadly when a polar bear was shot and killed by a guard from a German cruise line, which is now facing intense backlash. 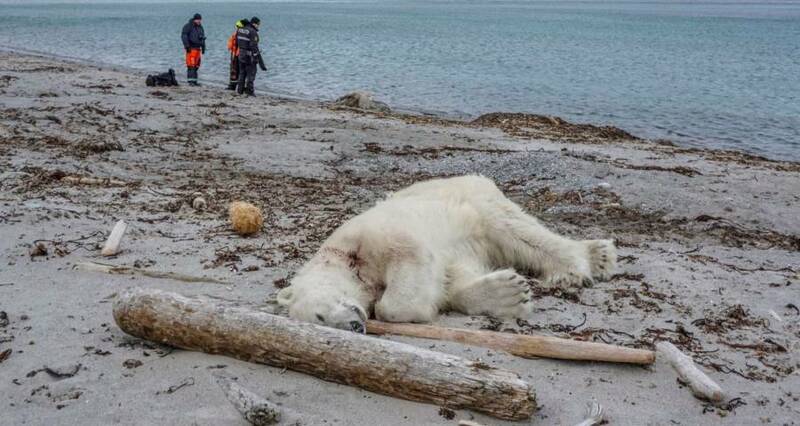 The incident occurred on July 28 when a Hapag-Lloyd ship called the MS BREMEN stopped on shore along Norway’s Svalbard archipelago to show a group of tourists some of the local polar bears. That’s when one of the four guards assigned to the expedition to protect passengers from polar bears was attacked and injured on his head. The non-fatal attack against the guard caused a fellow guard to shoot and kill the bear, according to the Associated Press. 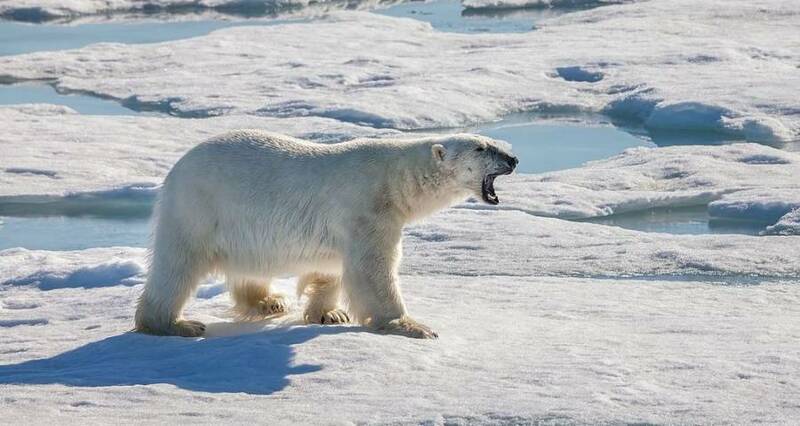 Hapag-Lloyd Cruises released a statement on Monday expressing regret for the incident and offering more details about the decision to end the polar bear’s life after attempts to ward off the bear proved unsuccessful. According to the BBC, all cruise ships in the surrounding area are required to employ bear guards to protect passengers on sightseeing expeditions. Critics of the guard’s decision to kill the animal were swift to voice their opposition, with many saying that the humans overstepped their boundaries when they entered into the polar bear’s environment. British comedian Ricky Gervais echoed those sentiments, blaming humans for encroaching on the bear’s territory. Another user suggested turning the tables and putting the cruise line employees in the shoes of the polar bear. But due to climate change and dwindling polar bear habitats, experts warn that these interactions between humans and polar bears may become more frequent. Experts also told NBC News that usually polar bear guards are able to use deterrent methods to scare off the bears before drastic actions, such as killing, are necessary. Brian Horner, the founder and director of LTR Training Solutions, told NBC that guards can try to shoot off a firework or shoot a shotgun loaded with blank rounds to make a big bang to hopefully scare off the bear. Next, read all about the fabled “King Polar Bear.” Then check out these 21 strange but true facts about polar bears. Is Richard Glossip The Most Wrongly Convicted Person Currently Sitting On Death Row?